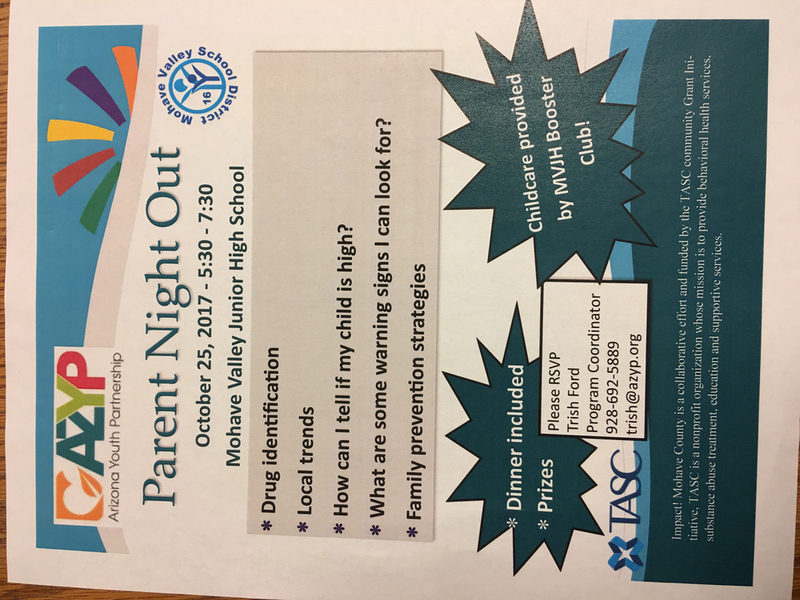 Please join us for a complimentary dinner and informative discussion on teenage drug use, trends and prevention strategies for parents of our middle schoolers. Childcare will be provided by our MVJHS Boosters to enable more of our parents to join us. We hope to see you there. For planning purposes, please call Trish Ford at 928-692-5889 to reserve seats.